Philadelphia, PA averages 39.25 degrees F in winter. You need a well-insulated garage door to keep the heat inside and the cold out. There's no better way to understand the quality of our products than to watch them being tested against others in a lab. Your door is only as good as its installation. That’s why GARAGA offers its customers a network of certified installers. 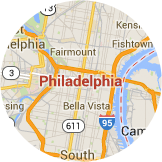 From Quakertown, PA, to Bensalem, PA, you can benefit from over 80 years of combined experience! Read more on Monarch Door Co. According to a cost-value study made by the magazine “Remodeling”, midrange projects to replace a garage door cost on average $1,655 in Philadelphia. In fact, houses in Philadelphia, PA recoup an average of 76.7% of their garage door cost when they are sold. 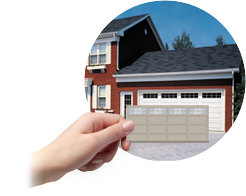 The purchase of a new garage door represents a big investment. You expect a lot and you want to make sure you select the best option out of the many available choices! Your garage door not only says a lot about who you are, but also improves the curb appeal (and therefore, the value) of your home. That's why it's a smart move for you to do business with a company that specializes in this area. 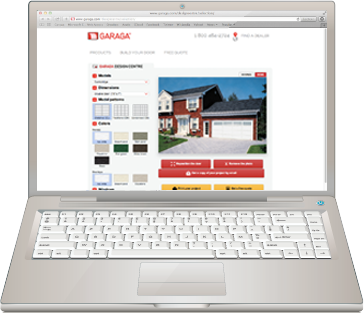 Since the GARAGA garage door experts in Philadelphia, PA know the area's climate and architectural style inside and out, they are well qualified to help you choose a garage door that will suit your needs and blend in perfectly with the other homes on your block. The garage door experts in Philadelphia, PA recommend LiftMaster garage door openers for their quality, reliability and durability. Experienced professionals have been depending on the exceptional durability of these garage door openers ever since their introduction in the market. Part of The Chamberlain Group, LiftMaster has maintained its leadership in the industry by responding to the constantly changing needs of consumers with innovative products offering consistently high performance. Versatile and user-friendly, these door openers are compatible with any garage door model. There are also different options to suit a variety of needs, such as quiet-operating door opener models ideal for garages sharing a wall with the home, as they prevent disturbing other members of the household while opening or closing. But the major selling point of LiftMaster garage door openers, for both owners and professionals, is their safety. An infrared sensor detects when a person or object is in the path of the door and automatically stops it from closing. It takes skill and expertise to install a garage door, which is why you can trust the professionals in Philadelphia, PA to do the job right. Your garage door system will not only perform safely and efficiently, but will also be perfectly balanced, making it easy to open and close, while reducing wear and tear. Our installers will also ensure the comfort of your garage by inspecting the weathertight seal of your garage door. 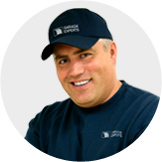 Our experts in Philadelphia, PA take great care in the installation, repair and maintenance of residential and commercial garage doors, which is why you should consider signing up for our annual maintenance program. Our team will visit your home once a year to inspect your garage door and perform preventive maintenance. Besides avoiding problems that could cost you time and money, you'll enjoy increased comfort and peace of mind.